about this book: "Bringing the paranormal out of the dark ages," is a book that offers some new considerations for the field of paranormal study. Written by myself, a 35 year veteran in the field of Haunts resolution. This book will challenge many of the currently held theories presented by the mainstream paranormal community. The book covers everything from EVP work to spirit manifestations, and much more. I attempted to open the minds of those, who still stand by old out dated ideas about the afterlife, and the human spirit. I wanted to dispel the plethora of misleading information that is handed out by the reality TV shows, supposed demonologists, and the commercial paranormal field. The real discoveries in this field are not being talked about or revealed as the mainstream paranormal field is actually just hobbyists and commercial entrepreneurs at this time. It has become all about exploitation rather than real research. The primary readers of this book are paranormal investigators and enthusiasts. It took me about three months to write this book. The hardest part about writing this was trying to find a way to present my theories in a way that people might actually consider them, and also trying to get everything in there that I wanted to cover. This book was done from my own research that I did in over three decades of working haunt cases. I chose this title because it best covers the intent of the book. 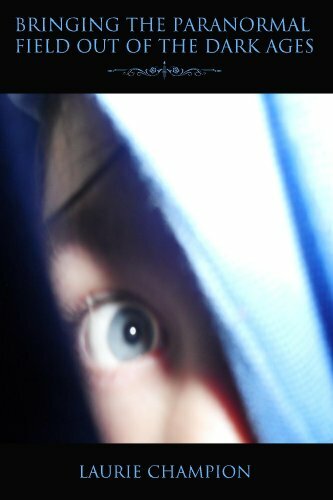 I chose this cover because it shows someone peering out from under a blanket being afraid, and that is exactly what the problem is. People are afraid of the whole haunting idea and so they cling to the old legends and dogmatic fears that we still promote today about ghosts and such. During the course of writing this book I learned that even though I may understand exactly what I have discovered, it is hard to sometimes put it into words to get it across to others, with little knowledge of the subject, in a way they can understand. If I could say anything to my readers it would be:"No great profound answers will ever be found from "Ghost hunting" as stalking a cemetery or some haunted venue, in the dark is not research. You can not buy a ticket to a paranormal experience. Any communication you may receive from the next world and the spirits who dwell there will depend largely on your agenda, not on your desire to receive it. Open your mind and search your soul for the answers that you seek.